To this backfiring issue, other netizens came to V's defense that the idol was only "pretending" to record the fans, that his phone was on "selfie mode". According to these netizens, V had simply held up the phone to mimic the gestures of the invasive fans. Along with the GIF, another photo of V spread around, which the defenders presented as proof that such close-up photos were taken by intrusive fans at the airport. In the midst of this discussion, some onlookers compared the reactions from this incident with a similar happening that occurred with a non-Kpop Artist D. According to certain claims, Artist D also held up a camera to his/her fans and recorded them without consent, but the reactions of those fans had differed greatly. Their fans had found the celebrity's action simply "fun" or "cool", and even thanked the artist for wanting to record the fans. 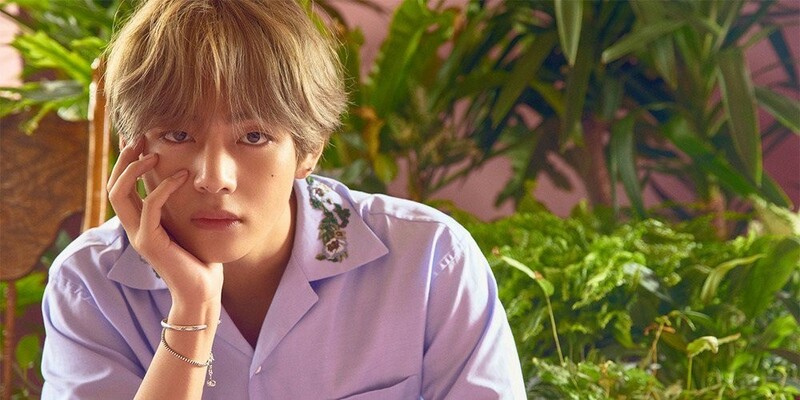 Therefore, netizens accused the hostile reactions from V's incident as "unfair", saying that fans had always been carrying out acts of "infringement on privacy" all along. Other reactions include, "If the fans were to have stepped back a bit to take a photo in awe, then what kind of a celebrity would be that mad? It was because you all were like less than a meter away from him. Did V hit you guys or cuss or threaten you all? It's ridiculous how people are blaming him." "This is so frustrating. Can't you see the idols hunching their backs so that they don't have to get too close to the fans?" I believe he so had the right to do that, if they can intrude on his privacy and take pictures without his consent than so can he, whats the difference. Is it cause he is famous so somehow that makes it okay to get in his personal space. They just deal with it so much and he was fed up. I would've done the same thing if it were me, but I would've done it way sooner than he did. Do you know how annoying it would be to constantly have cameras of complete strangers in your face. Imagine if you were in public and random people decided they wanted to get in your personal space and take pictures of you. Like no. That's not okay, and being famous doesn't mean the rule suddenly doesn't apply. I'm glad all these months later that the issue of a celebrity's, and V's, right to safety and the issue of personal space has almost vindicated his actions because recent coverage surrounding saessangs or obsessive fans has demonstrated the true and potential danger this type of behavior bring to V, BTS, and other celebrities. It's realistic to believe there has to be so many times this type of dangerous behavior is not caught on camera and am sure it happens much more than the public sees, so I can't understand why there was such a backlash, rather than addressing & preventing improper behavior which can endanger the celebrity and other nearby fans.